Writers: Are you waiting to be discovered? 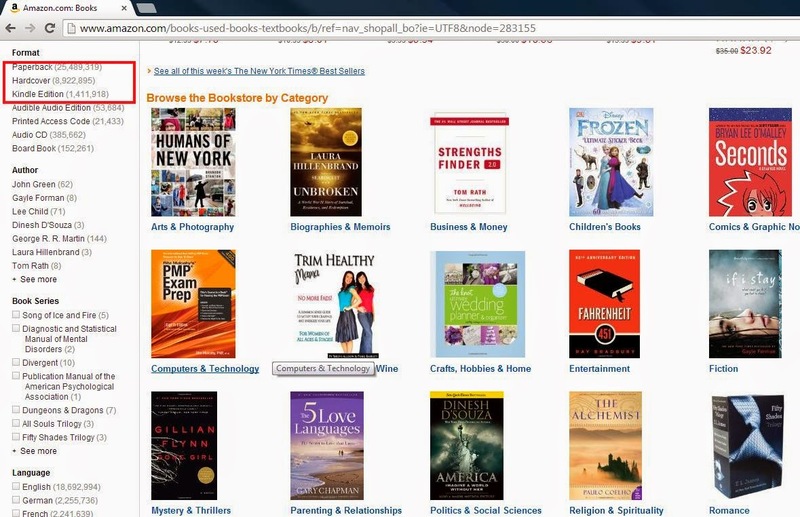 Out of curiosity I visited Amazon.com to see how many books were being sold (I chose Amazon because it is the largest sales platform for books online). I scrolled to “Shop by Department” and found the “Books” section. The numbers were mind boggling. As of today August 2nd, there are about 25.5 million paperback books, close to 8.9 million Hardcover and 1.4 million Kindle Editions. Issue 2: How some authors are relying solely on sales platforms e.g. Amazon or expecting traditional publishers to provide comprehensive marketing for the public to discover them. Let’s call Issue 1 my new catch phrase “closet superstar discovery conundrum” and Issue 2 “limited public discovery by not marketing.” In the face of such staggering competition from other books, not to mention media such as television and movies, both of these issues are important to discuss. So are you a closet superstar waiting to be discovered? We may all be closet superstars, believing we are owed something for our talents but not pursuing fully the available avenues for fear of rejection - and maybe even success. In other words, we are risk averse or afraid of the consequences. For authors going through traditional publishing, there may be numerous rejections but you won’t get discovered if you are not sending out query letters or book proposals continuously alongside refining your book. If you are a self-published author, the challenge is different; it is getting discovered and building enough buzz prior to publishing and during sales. For self-published authors, sharing samples of your work online is your best bet at getting discovered. The idea is to write a great hook or synopsis (see the back of any book in the genre you are writing), which creates interest but doesn’t give your plotline away. Also share a sample. Maybe one or two chapters for the public to get to know a bit about your writing would be good. I know this brings up issues of plagiarism but read further for my response. Think about it; many sales platforms allow you to “look inside the book” before making a purchase - as Amazon does. You could also serialize your chapters or novels. I hate to use the overworn example of “Fifty Shades of Grey” but that is the most successful one yet. I’d suggest that for those worried about online plagiarism, assess your timing. Put a sample of your story online when you are close to publishing. This applies primarily to self-published authors and may help generate public interest. All that talk about promoting your book online segues nicely (musical pun intended) to Issue 2. I may have framed Issue 2 much more eloquently if I may say so myself in the blog, “Who is interested in reading your book.” You will have to find ways to be discovered in “a world, which is looking for a quick sound bite and is saturated with books, among other forms of entertainment.” As an author, who has put “skin in the game” to quote Warren Buffett, you will need to make your product stand out from the crowd (understatement). Please draw up a marketing strategy to help sell your book. Think about your audience, who are they, where are they located, do they read online or offline? This research has to be done within the context of what genre you are writing. What is the setting of the book? Does the setting and genre provide an opportunity to market your book by association? Is there a unique trait of the book that can be promoted? All these may help you decide which online and offline channels to use e.g. radio, bookowl, Facebook, versus promoting at writers and readers’ festivals, local book or comic stores, schools, universities and anywhere your book may gain a following. Obscurity is an author’s worst friend. Stop obsessing over plagiarism and start marketing your book. As bookowl’s tag line says: “define your story” –literary or career-wise. Are you still waiting to be discovered?